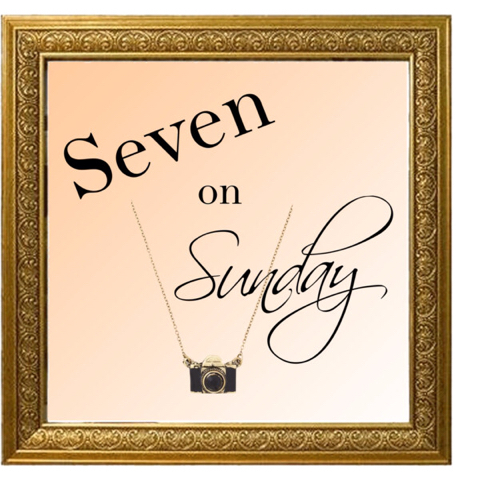 Ok, this week was straight up CRAY, and I don't even know what day it is...clearly, because Seven in SUNDAY is now Seven on MONDAY! Just work with me, here..i literally have like ZILCH left in my tank! Day 1: Sunday ~ Hmmmm...not sure what happened this day :( Somehow we managed to stay alive! Day 2: Monday ~ Monday #targetrun with Sarah.....because it might rain inside Target....this kid is so ready for El Nino that she never goes anywhere without her umbrella! Day 3: Tuesday ~ Finished up another 21 Day Fix Challenge group and almost fell out of my chair at the results! This group of gals worked their BUTTS off and I am so proud of them!!! Seriously amazing! Day 5: Thursday ~ No clue. Day 6: Friday ~ 100 Days of School!! Woo Hoo!! Day 7: Saturday ~ So today was interesting. We went to Russian River Brewing Co to celebrate Scott's bday! Super fun but I had a little tummy bug so it's wasn't exactly super fun for me! However, seeing Scott finish "The Sampler" was pretty amazing! I sipped a few and some were good and some were straight up NASTY! As a busy mom I am ALWAYS trying to find simple, easy snacks to grab for both me AND my kiddos! 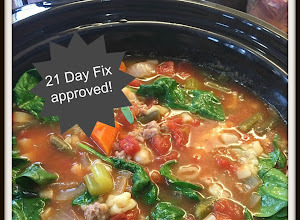 As most of you know, I follow the 21 Day Fix meal plan which consists of portion control and "clean eating." I cannot tell you the difference I have felt since I cut out processed food (well, 90% of the time--sometimes it has to happen, right??!). That being said, because I cut out most processed/packaged food, I have avoided most pre-packaged snacks because of unnatural ingredients, high sugar content, etc. Lots of big words, aren't there? Big words = not good. 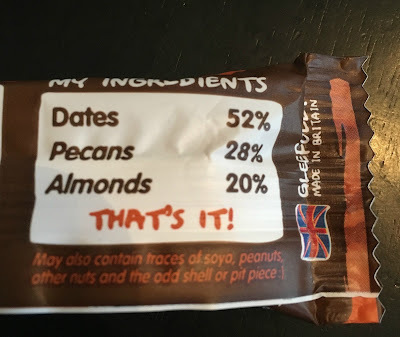 I LOVE LOVE these Nakd Bars because they provide a quick on-the-go snack that fit my criteria of no weird, unpronounceable ingredients. 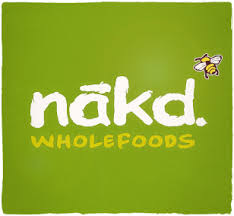 In addition of being made from whole foods, the Eat Nakd Bars taste AWESOME!! My favorites were Strawberry Crunch and Apple Crunch! My kids loved them too!! What's not to love? Happiness, natural snacks, humor, helpfulness, joy??! Really! What a great company! Currently, you can purchase their bars online and they offer free shipping on ALL (U.S.) ORDERS! I would recommend the sampler box ($9.99 for 13 bars) to start, so you can taste test all of the yummy flavors. There honestly wasn't one I didn't like! Do you currently have a favorite bar or on the go snack? 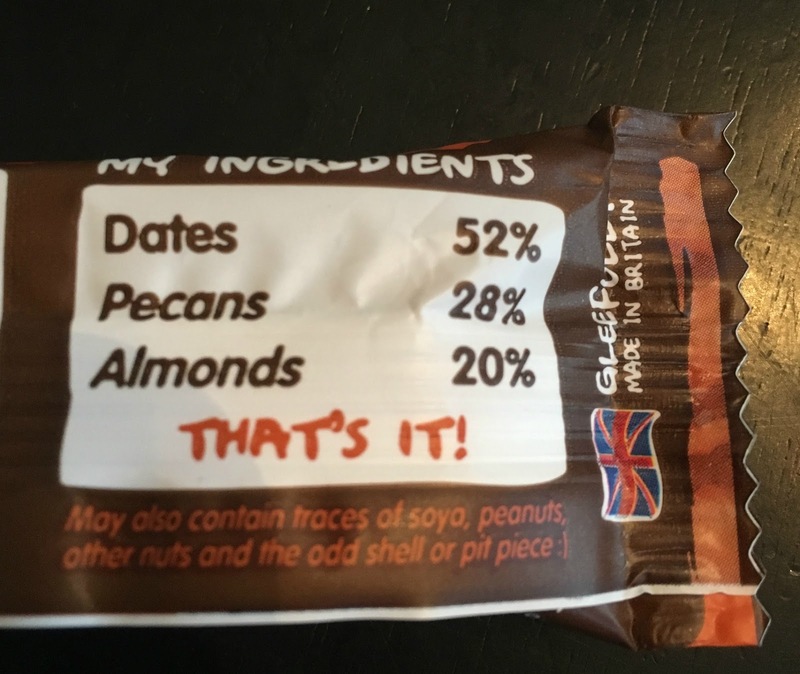 Would you try these Eat Nakd bars? You can find out more about this company HERE. You can also follow them on Facebook HERE. Disclaimer: I received a sampler pack for Eat Nakd Bars in exchange for an honest review. All opinions expressed are my own. 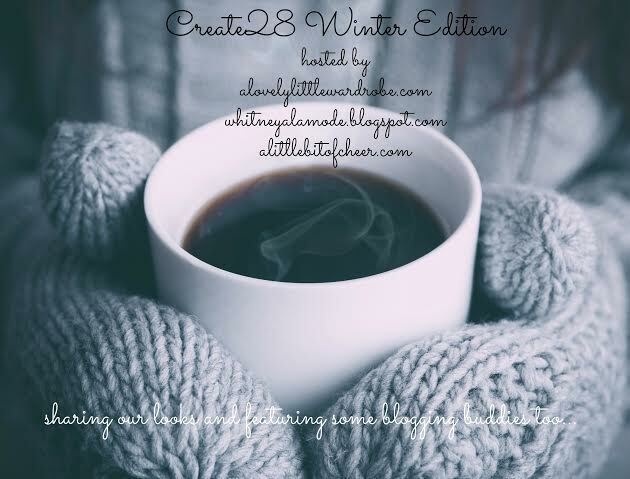 Just wanted let you all know Carrie, Whitney and I are back with another Create28 starting February 1st!! 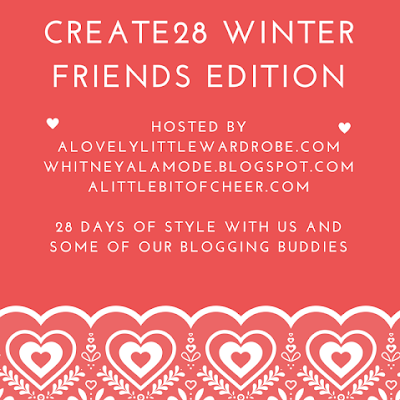 This month we will not only feature some of our favorite winter looks, but also the looks of some of our fabulous blogging buddies as well!! More details to come soon, but we hope you will join us!! Welcome to another edition Pinned It and Did It! 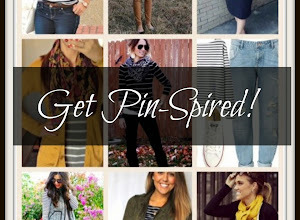 You know, the time when we dig deep into those 4,506 pins we have and start recreating them! 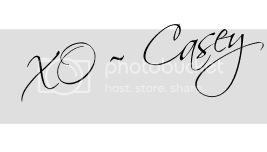 If you haven't been following my friend Carrie for her Shop and be Free for 3 group, you really should be! Read all about it HERE. 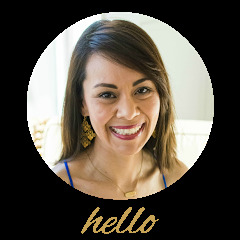 In this group, Carrie talks a lot about defining your personal style--figuring out what is really YOU vs. what looks good on someone else or in a picture. I think this Pinned It post illustrates this point perfectly. 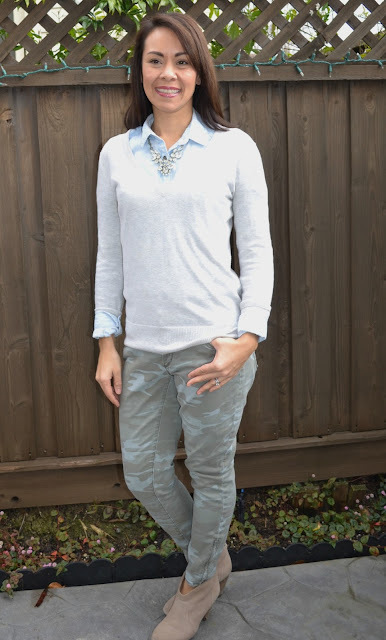 I swooned over this look because it has every single element I love--camo, chambray, sparkle! And I love how the "edgy" (camo) is pair with the more conservative button down. Frankly, in "real life" I hated this outfit. Well, hate is a strong word but number one, I didn't feel comfortable in it. I have pretty much decided sweater and button down is NOT me. 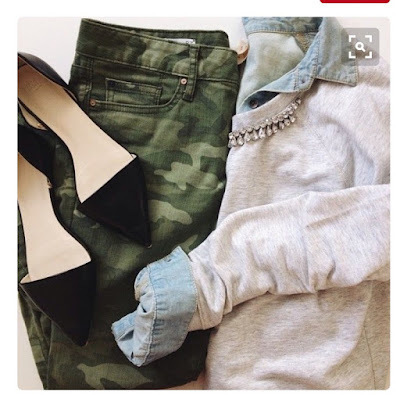 While I love all of these pieces separately (camo, sweater, chambray, ankle boots) I just don't like them all together. These camo pants still continue to get TONS of wear, mostly because they are so darn comfy! But then paired with the "stuffy" button down and sweater, it defeats the purpose of throwing on my most comfy pair of pants, ya know?? 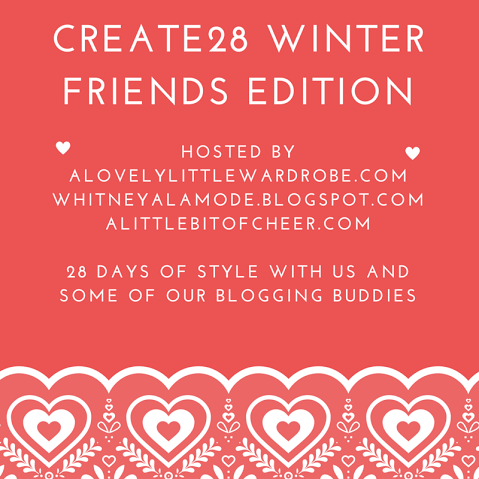 I think it's really important to come to grips with the fact that every "flat lay" and awesome looking outfit on Pinterest and on Instagram might not look or FEEL good on you! And that is A-OK! 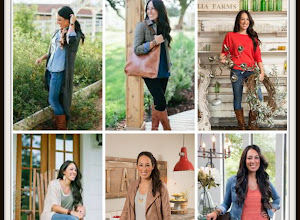 I mean, sometimes I seriously wonder if other super high end fashion bloggers actually WEAR the stuff they blog about! Since I am all about practicality, I don't get much joy out of perusing outfits I'll never wear! Has this ever happened to you before? 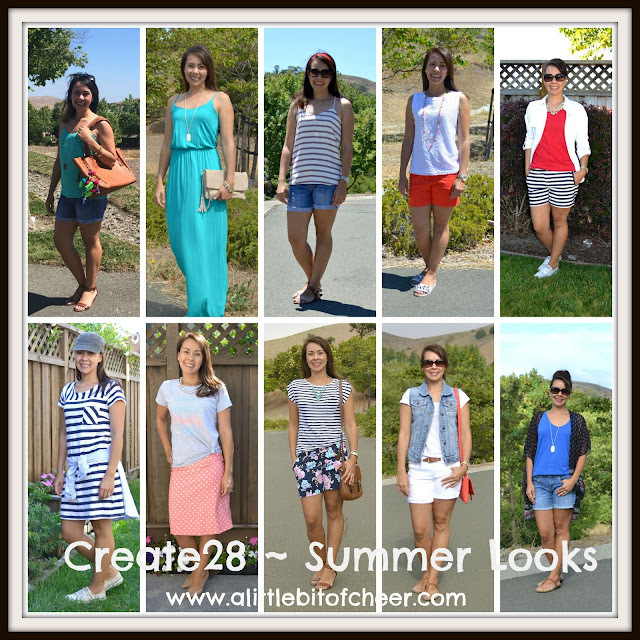 Have you ever lusted over an outfit online, then it fell flat for you? I think this a GREAT thing, actually because each time you "fail" at an outfit, you come closer and closer to defining your own personal style :) I like to call it "failing forward." Each week we choose a favorite...check out Carrie and Whitney's blogs to see if it's you! 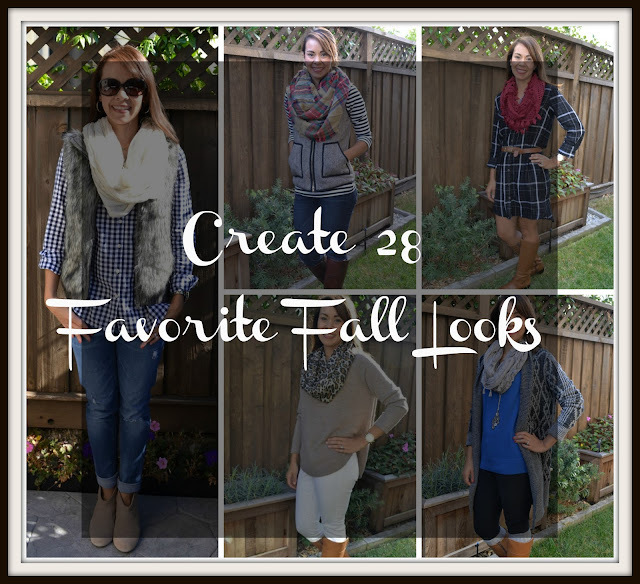 My favorite look this week was Rebecca from Red Tag Chic! This look is SOOO cozy and totally something I would wear...like, everyday!!!! Read her entire post HERE. Day 1: Sunday ~ When she REALLY REALLY REALLY wants to go grocery shopping with you...then passes out on the way! Day 2: Monday ~ Kids had the day off for Martin Luther King Day. It was raining and we didn't do much.....Buddy was very tired, but still wanted to make brownies! Day 3: Tuesday ~ Buddy's "tiredness" turned into a full on fever and sickness during the night, so he ended up staying home and resting. He passed out playing on the Wii! Day 4: Wednesday ~ Showing off their skillls! Day 5: Thursday ~ Poor Buddy was STILL SICK and Scott was out of town so I took a sick day and stayed home. Poor guy, he wanted to play a game but had zero energy! Day 6: Friday ~ These two totally bonded this week, staying home together. She annoys him but I think she's growing on him. :) She looks up to her big brother so much! Day 7: Saturday ~ Some occasions just call for the good stuff...and ribs on the grill :) More details to come later but if it all works out, it will be awesome! This girl can EAT ribs!!! When is the last time you had an experience that you walked away thinking "Mind Blown!" Mine happened last year when I learned how to use the AirDrop feature on my iPhone- #mindblown! That was until last week, though....when I decided to "put myself out there" as they say on The Bachelor. I "put myself out there" and tried RICED CAULIFLOWER in place of rice!!! Make no mistake--I am not a cauliflower fan. Nor am I really a fan of using "faux things" to replace "real things" in food. Hopefully you know what I mean (think Tofurkey). 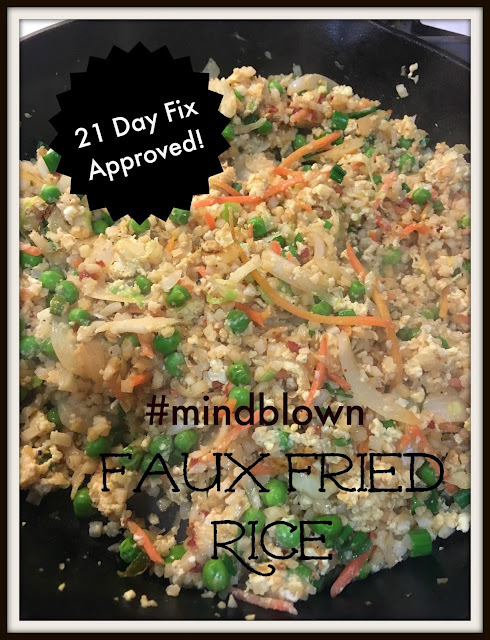 However, a saw a recipe for this "faux fried rice" and I thought what the heck! It's all about getting out the comfort zone, people! WOW WOW WOW!!! Hands down, best fried "rice" I have ever made with a lot more fiber and a lot less carbs than typical fried rice!!! Here is the kicker--I am not going to rice my own cauliflower, people. It's possible in a food processor or ricer but Mama ain't got no time for that. Trader Joes (and I am guessing other places, too!) 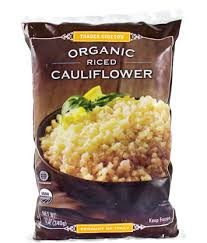 sell frozen riced cauliflower! BUY IT. LOTS OF IT. **you can use ANY veggies you have on hand! 1. In a small bowl, whisk soy sauce, sesame oil, ginger powder and chili garlic sauce (optional); set aside. 2. In a large skillet heat 1 teaspoon oil plus 1 tablespoon of water until hot (the water helps cook the veggies and reduces the amount of oil you have to use- #mindblown). 3. Add onion and cook until soft. Add carrot/peas/other veggies and cook a minute or so. 4. Add in frozen riced cauliflower and cook until heated through. 5. Add soy mixture and protein (if using) and stir to combine. 6. Stir in scallions and serve hot!!! OMG. #mindblown Seriously--I'd never know I just ate cauliflower. So delish!!! If you have read this blog for any length of time, you have heard me say, "I'm a jeans and a tee type of gal" probably a dozen times! 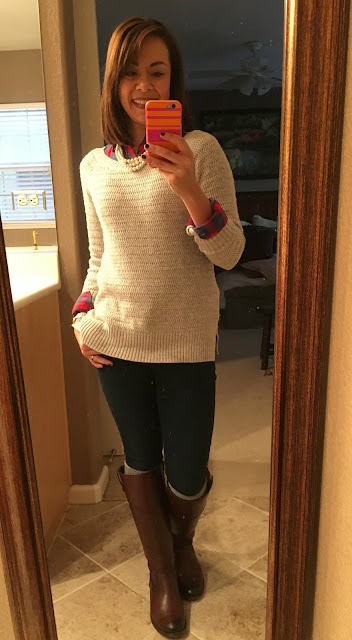 How to you "winterize" jeans and a tee? 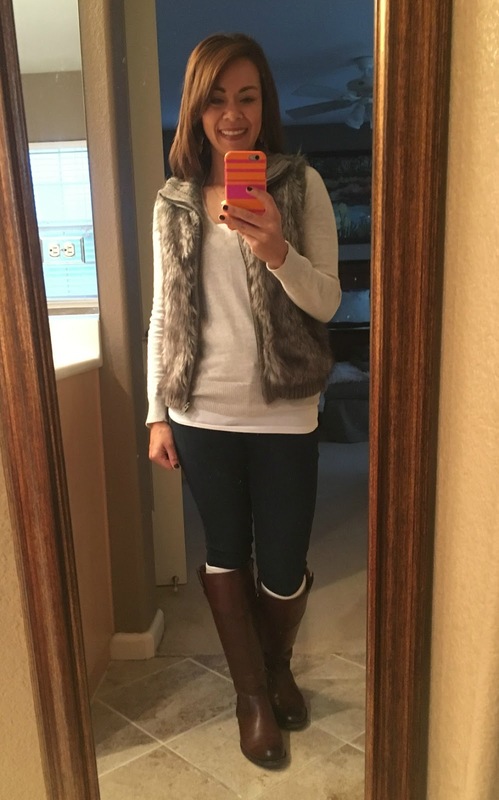 Add boots and a faux fur vest! #boom! 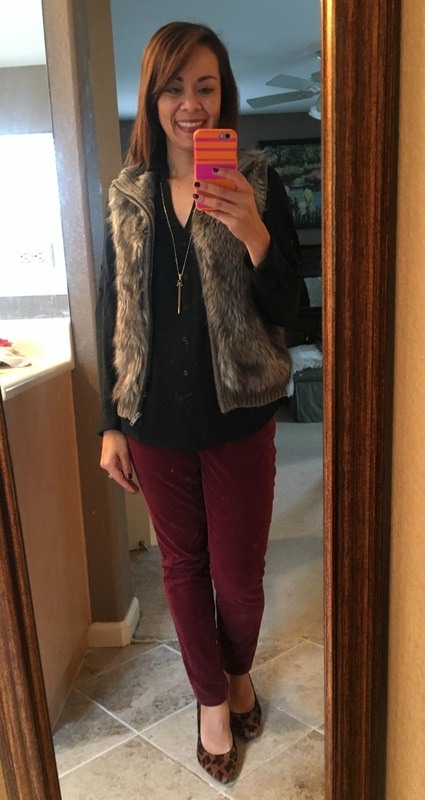 I wore this outfit to work, because HELLO--i don't wear heels around the house! I am not in love with black on black but to be honest, I did like this outfit better in person than I did in the pictures. Simple, easy, so comfy. 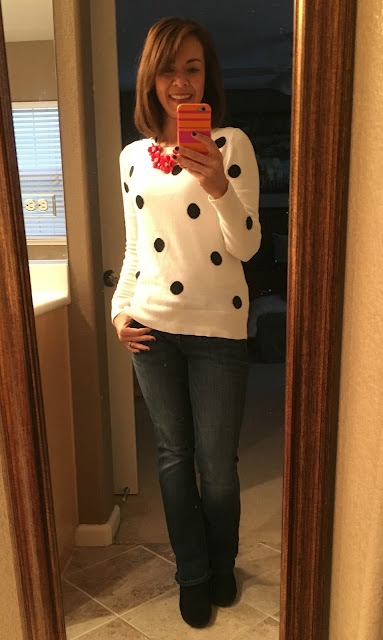 I'm in love with polka dots!! 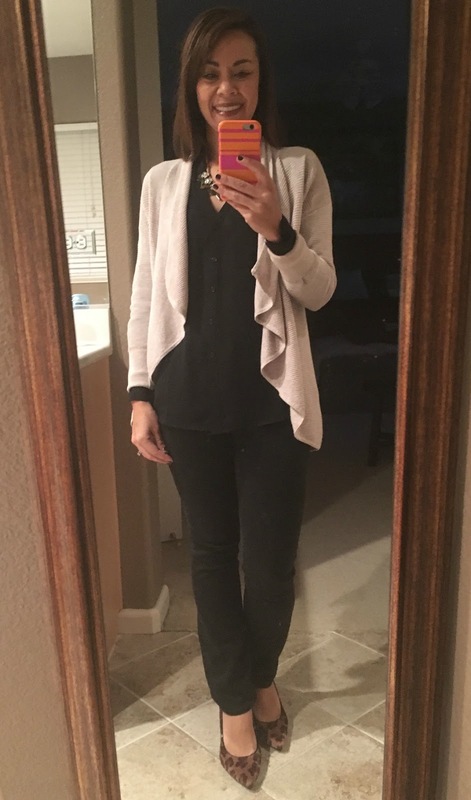 This is my "work version" of Outfit 1 since I can't wear jeans to work. If you don't have a pair of burgundy jeans/cords, I highly recommended finding a great pair! They are so versatile! I showed this outfit last week, but I have been wearing it so much, I am showing it again! 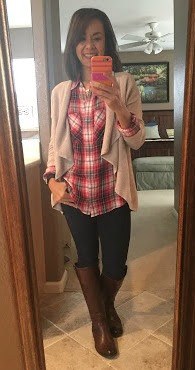 This combo can be repeated so many different ways but just swapping out the plaid and the cardi. 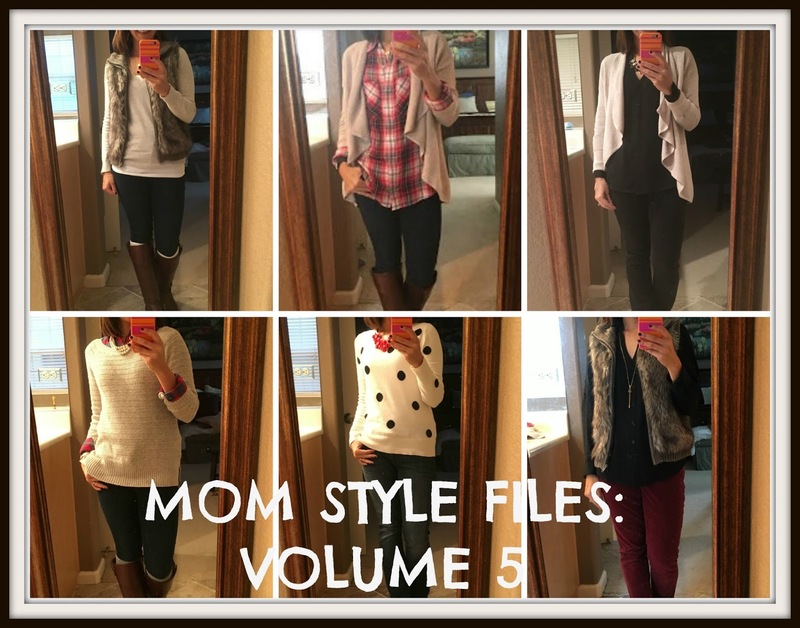 That's a wrap for this edition of Mom Style Files! If you want to check out the "archives" of Mom Style Files/Everyday Outfits, here you go! Seven on Sunday ~ Week 52!